THE FIRST INTERNATIONAL BANK (FIB) Have joined the efforts of the ComAfrique-InteliZon Initiative by sponsoring two villages - nominated by His Excellency, President Jammeh. The Villages of Bunuborr and Santaba in the Foni Districts have now been implemented as well. A total of 101 Lights were given to the Villages at independnt ceremonies by representatives of F I B Bank. Mr Cyril, Ms Veronica and Mr Abduali of FIB accompanied the Implementation team. A big thanks from ComAfrique-InteliZon to Mr Pa-Ousman Njie and the rest ot the FIB team. RURAL BANKING services were also intiated with the Kanilai Branch manager of FI B bankvisiting all the other villages in the FONIs where the ZonLight Commitees have already been established. Thus this Initiative has now introduced Rural banking as well. The Manager of FIB bank will make monthly visits to each of the villages in the Fonis. Jakoi Gibbirick, Battendeng, Bujhinga, Jirramba, Kallang and now Bunnuborr and Santaba will all be able to bank their ZonLight Funds with FIB at their doorstep. 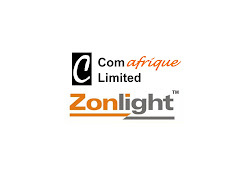 BONUBORR VILLAAGE- ZON LIGHT COMMITTEE. 5. Alkali Famara bojang- 6235759. FIB: Mr. Cycril, Ms. Veronica, Mr. Abdulai. GRTS- Mr. Lamin Saho, Mr. Buba Darboe.